As the Summit County Council continues to wade through recommendations for the county’s 2019 fiscal year budget, elected officials have found themselves at odds over one particular funding allocation. County Council members are considering paying $100,000 for a study that would determine what improvements can be made to the Rail Trail. Councilor Roger Armstrong strongly opposed providing that much funding. The Council discussed the study at a meeting Wednesday but won’t finalize a decision until approving the budget later in December. The study and eventual project are part of officials’ attempt to improve the utilization of the Rail Trail and provide economic development for existing businesses alongside it, especially in the eastern end of the county. 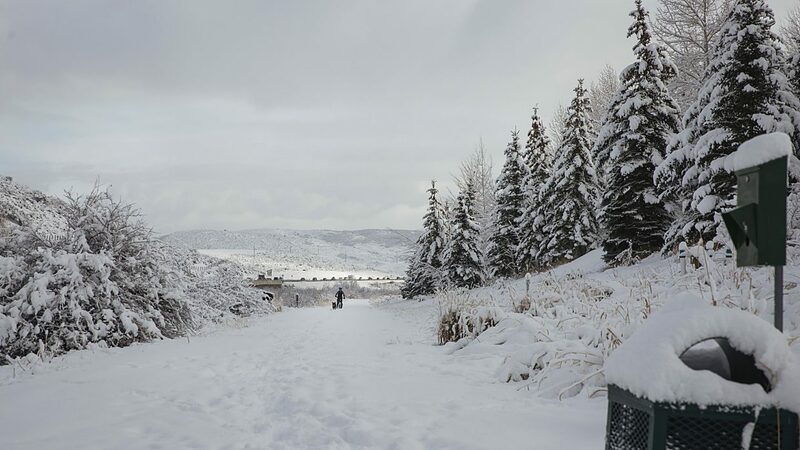 The Rail Trail, a popular route for biking, hiking and other recreation, extends 26 miles from Park City through Echo Canyon. The money would fund a feasibility study and allow the county to create an implementation plan. However, specific details about the improvements or the overall project were not available. The county plans to use transient room taxes to fund the study. Transient room taxes are collected from overnight stays at locations such as hotels and nightly rentals in the county. TRT funds may be utilized for promoting recreation, tourism, film production and conventions, including the construction of sports and recreation facilities. The county anticipates having about $5 million of transient room tax funds for the coming year. County Council members Kim Carson, Doug Clyde and Glenn Wright supported the recommendation to allocate funding for the study. Councilor Chris Robinson did not attend the meeting. “We’ve heard a lot from the community about this, and I think we should contribute money for the planning,” Carson said. Clyde echoed Carson’s statements. He said officials have preliminary ideas and concepts about what would be needed to make the Rail Trail a more robust accommodation. But, ultimately, the advice of a professional land planner is needed. Clyde said Rail Trail improvements directly fall under the category of what transient room tax funds can be used for. He noted that the County Council was considering other funding recommendations at the meeting, including the addition of several new employees. However, the monies from transient room taxes can’t be used to pay for those needs. Community Development Director Pat Putt’s department has spent several years considering how to make the Rail Trail a better amenity, Clyde said. He highlighted the fact that the study would not take a significant amount of money from the county’s reserved transient room tax funds. He mentioned that elected officials have discussed ways to distribute those funds in ways that would benefit projects throughout the county, not just in the Snyderville Basin. “We are equally as focused on making sure those monies are spent on the East Side of the county in order to protect, preserve and foster the rural atmosphere of our county to make sure it is the gateway to the Uintas as opposed to the gateway to Murray,” he said. County Councilors considered lower funding amounts before ultimately settling on the $100,000 that staffers originally recommended. Armstrong shook his head in disapproval as the decision was made. “We have discussed prioritizing that money and this doesn’t rise to the top 10 for me,” Armstrong said. The county’s fiscal year runs from Jan. 1 to Dec. 31, and the Council plans to finalize the 2019 budget by the end of December. The County Council is scheduled to hold its first public hearing about the budget at 6 p.m. on Wednesday, Dec. 5, at the Sheldon Richins Building. Another hearing is scheduled on Dec. 12 in Coalville.